Following the Natio Berry Beautiful palettes swatch post, I’ll wrap up the rest of the Berry Beautiful collection today with their lip colours, nail colours, eye liner and mascara all of which are new limited edition shades. I'm surprised and impressed by Natio's lip colour hydrating formulas that leaves lips soft and moisturised. They glides on relatively easily and lasts a couple of hours before re-application is required to freshen up the colour. 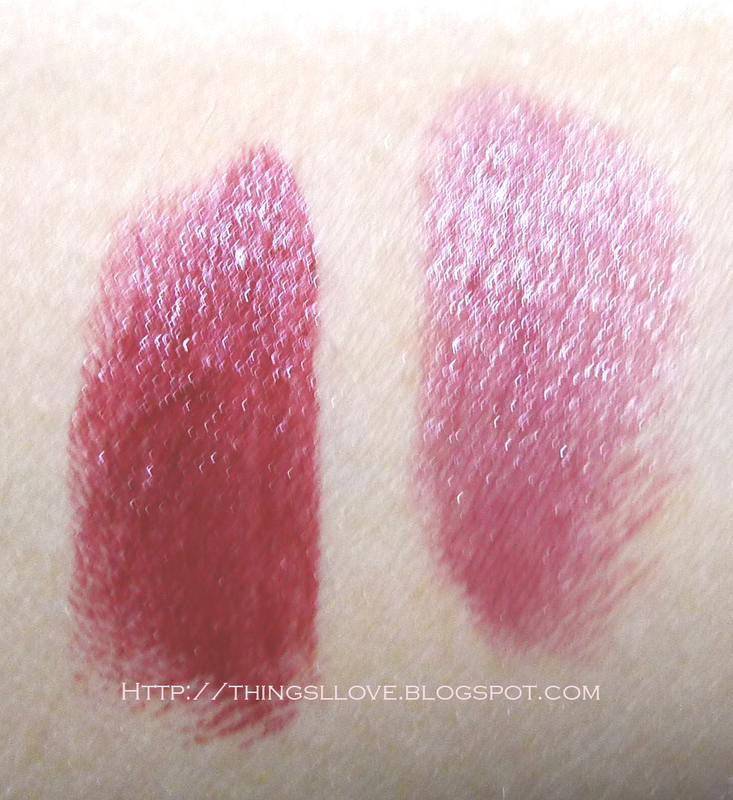 Both these shades are very wearable shades. Baby berry, a soft berry plum colour that is more a satin finish with a sheerer coverage. 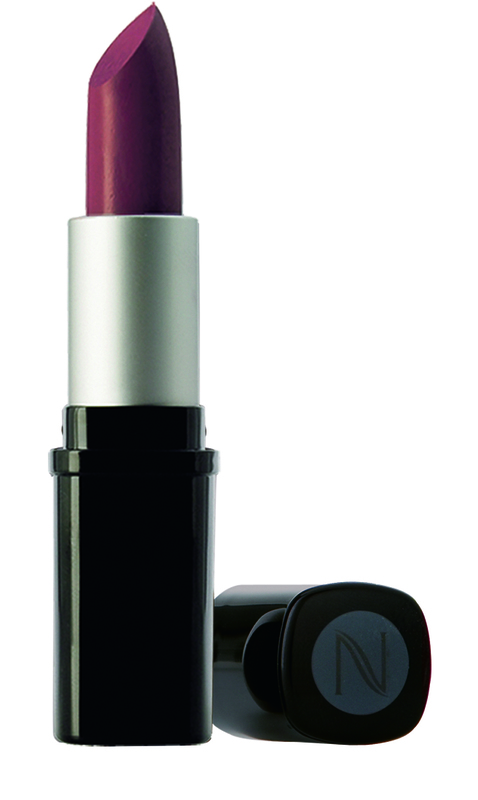 Velvet Berry, a deeper berry shade with a semi-matte finish that gives a fuller coverage as it is more pigmented. High gloss formula, these polishes were quick drying and very smooth and easy to apply. They are fairly chip resistant too which makes them even more awesome! Berry You is a deep cherry red – I love vampy shades in cooler months and this one is a classic stunner. 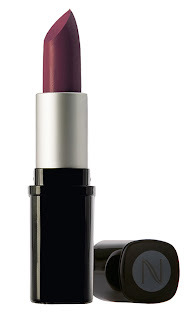 Very Berry is a dark plum purple – 2 coats and it’s almost purple black. A very edgy shade for those who like their digits dark. 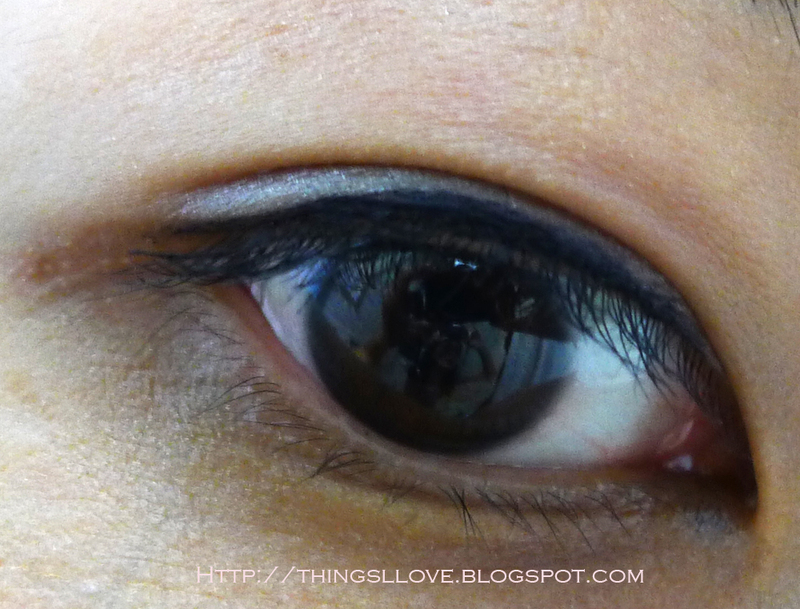 Midnight Berry is a navy black liquid liner with a felt tip pen. I find that felt tips don’t work too well on my eye shape as I need many strokes to draw the line across my eyes and the felt tip can make the liquid become streaky going over it too mulitiple times. But once I get it right, the sharp tip does give precise application and when the liquid dries, the colour is pretty much smudge proof and stays all day with minimal fading by late afternoon. Gives clump free sculpted lashes that are lengthened and defined perfectly. It isn’t the most volumising mascara but if lengthening and lifting power is what you want and need, then this is one mascara you need to check out. Natio's Berry Beautiful colleciton is out now at your nearest Myer, David Jones or selected pharmacy Natio counter. 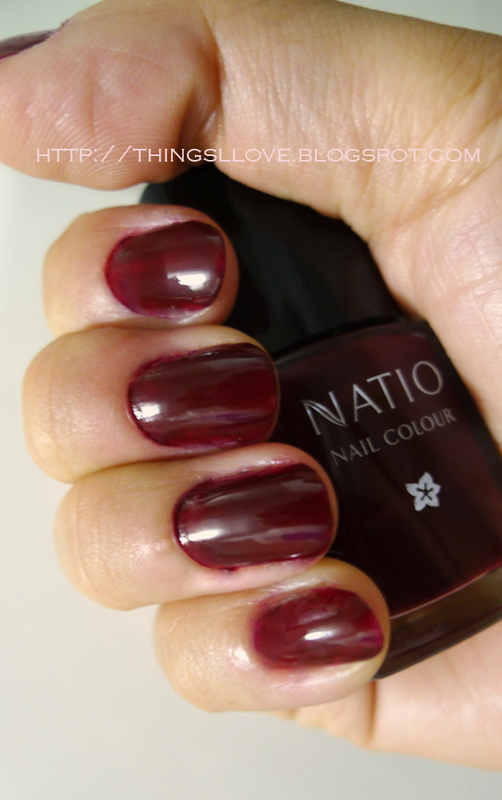 Love what you are seeing and hearing about Natio’s Berry Beautiful collection? Yes? Well I’ve got a great prize for 2 lucky readers. Natio has kindly agreed to give away two sets of Berry Beautiful packs away on Things I Love worth A$82.75 each. 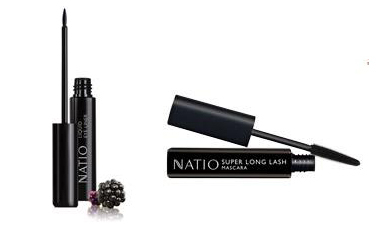 The 1st prize pack is the Soft Berry pack for those who want a romantic and gentle foray into Natio’s berry world (contains the Soft Berry Mineral Beautiful palette, lip Colour in Baby Berry, Nail Colour in Berry You, Liquid Liner in Midnight Berry and Super Long Lash Mascara in Black). The 2nd prize pack is the Dark Berry pack for those who want and crave more drama are daring berry shades in their life (contains the Deep Berry Mineral Beautiful palette, lip Colour in Velvet Berry, Nail Colour in Very Berry, Liquid Liner in Midnight Berry and Super Long Lash Mascara in Black). All you need to be in the draw to win one of this awesome prize pack is: 1. Be a subscriber of this blog via Google Connect or email (either one will suffice). 2. Comment below and tell me which Berry prize pack you want to win and why and note down your subscription method. 3. This giveaway is open to residents with an Australian or New Zealand address. Only one entry per person. 4. The total value of the prizes is A$165.50. The prize pack will be sent by Natio to the winner's chosen address. 5. This giveaway closes at midnight AEST 2nd April 2011. 2 winners will be chosen by Random.org. with the 1st winner awarded the prize pack of their preference. Winners will be announced on this blog no later than 3 days after the close of the draw. Dark Berry sounds right up my alley, I would love to get my hands on that palette! 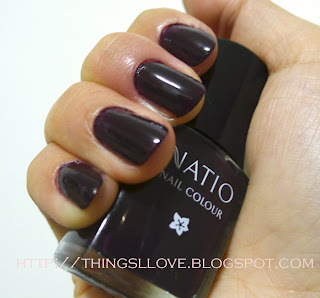 I am quite pale and feel like vamping it up with berry shades this season, perfect timing Natio! I follow through GFC,love your blog! I'd love to win the Soft Berry pack! I'm following via GFC (and Twitter). I'd like the Soft Berry collection because it looks so pretty. I'd love to win the soft berry collection. Natio products are just lovely and reasonably priced so if I loved the items I won (which I probably will), I'd be able to repurchase them. 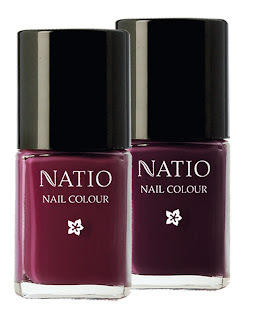 I would love to win the soft berry natio collection because at the moment I am unable to move because my knee is badly injured, so a bit of pampering would be lovely! The soft berry collection looks gorgeous! I'd love to win it as I haven't tried Natio yet and would love to get a chance to feel spoilt with great products! Following you through GFC and twitter! I continue to be impressed with the Natio brand. It is so on trend with the beautiful berry colours that always epitomise the move to autumn and cooler weather. The soft berry collection is subtle but bold enough to capture attention which is the one I would love to win this season. I Would love to win the nail polishes OMG they look good enough to eat i saw them and my mouth started to water!!! The soft berry sounds perfect for me. I love wearing sweet pinks and more subtle natural colours. Hello! I love the beautiful deep colour in the Dark Berry collection. If i won this prize it would be give me an opportunity to experiment with dark colours that i wouldn't normally dare! Thank you for this great giveaway - love your blog, keep it up! Hi Lil, I'm subscribed via email. I adore the soft berry colours, especially the glowing raspberry toned lipstick... I'd love to win this pack just for the lipstick alone! But seriously I covet the whole collection, even the dark berry particularly for the lipsticks, the polishes and eye-liner..I've yet to try this design of eye-liner. I'd like to win the soft berry pack, I dont normally wear dark colours on my lips so I'd need to start off softly, loving the nail polish colours! I'd like to win the dark berry pack. As the cooler seasons enter I need something dramatic and daring to pick me up on those drab, grey days. The dark berry pack will definitely "pop" against the grey skyline and help me stand out in the crowd. Would love the dark berry pack because it will remind me of my lips after having a kilogram cherries in summer.